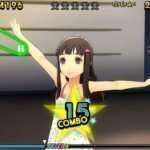 Nanako is dancing in the "Kanamin Kitchen" idol group costume. The reason for this is explained in story mode. Following the tease of their surprise scoop last week, Famitsu has posted a synopsis of what will be contained in this week’s magazine, including story mode information and new screenshots. Update (2015-04-14): Story and character details added at the bottom of this post, via [email protected]. 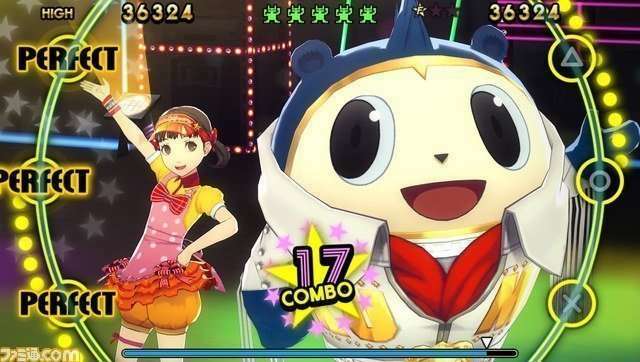 Weekly Famitsu issue #1376 for April 30, 2015 (releasing on April 16, 2015) will feature new information about Persona 4: Dancing All Night. There will be new information about the game’s story mode and new characters within it. 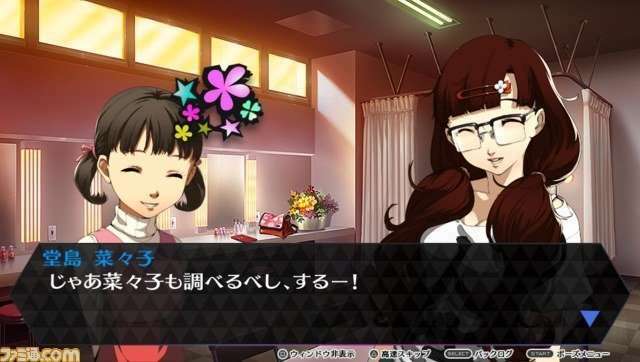 Additionally, the main protagonist Yu Narukami’s cousin, Nanako Dojima, will be formally introduced as a playable character. 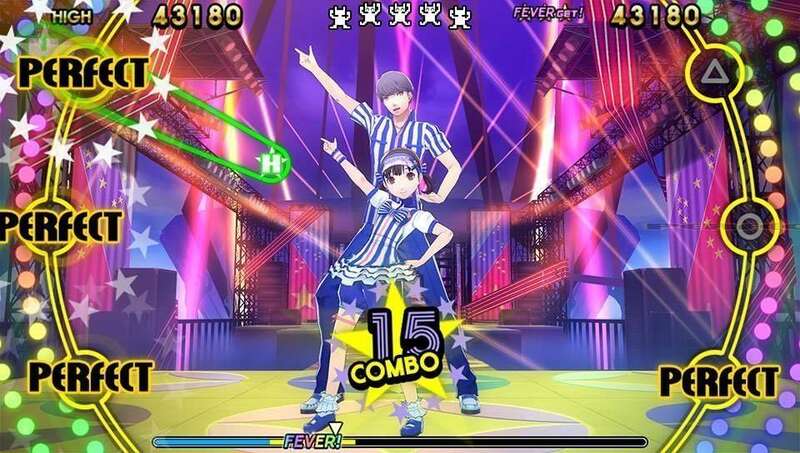 New Persona 4: Dancing All Night costumes will be unveiled, as well. As stated previously, this week’s issue of Famitsu will include a special poster which features Nanako. A new story taking place after the events of Persona 4. Who is the girl Nanako is talking to…? 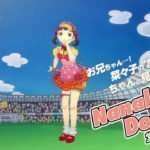 Nanako is dancing in the “Kanamin Kitchen” idol group costume. The reason for this is explained in story mode. 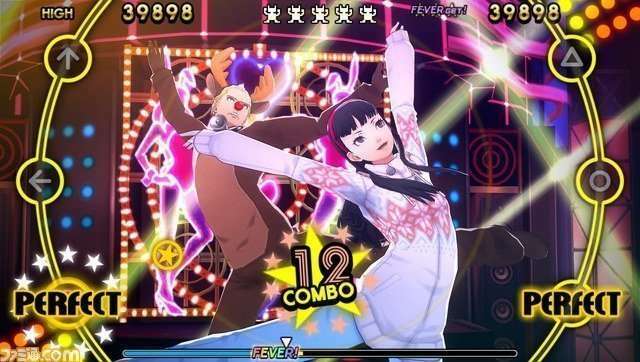 Yukiko and Kanji dancing in a duo; a variety of new costume information will be revealed. 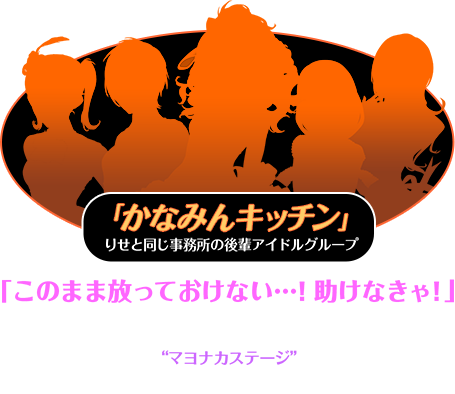 More information will be revealed alongside the release of the latest issue of Famitsu magazine on April 16, 2015. New members of the “Kanamin Kitchen” idol group are introduced in the upcoming issue of Famitsu and their names are: Sumomo Ujima, Tomoe Sayama, Tamami Uesugi and Nozomi Nakahara. Their voice actresses remain unknown. The girl in a T-shirt, glasses and braids, seen in the screenshot above, is confirmed to be new character Kanami Mashita. 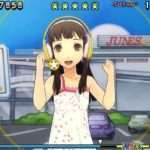 Nanako Dojima is involved in the story as she is visiting Yu Narukami in the city, along with her father Ryotaro Dojima. 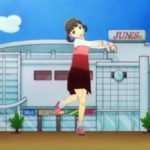 She loses contact with Yu when he somehow ends up transported to the Mayonaka Stage, leading Nanako to cooperate with Kanami in order to resolve the mystery of the Investigation Team’s disappearance. A manager and dance instructor NPC appears in screenshots as a new character. “Community Fever” is an option that can be selected for dances, which is the option to dance in a duet. 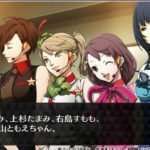 “Persona summons” are formally announced, where each character’s Persona can participate in dances with an instrument. 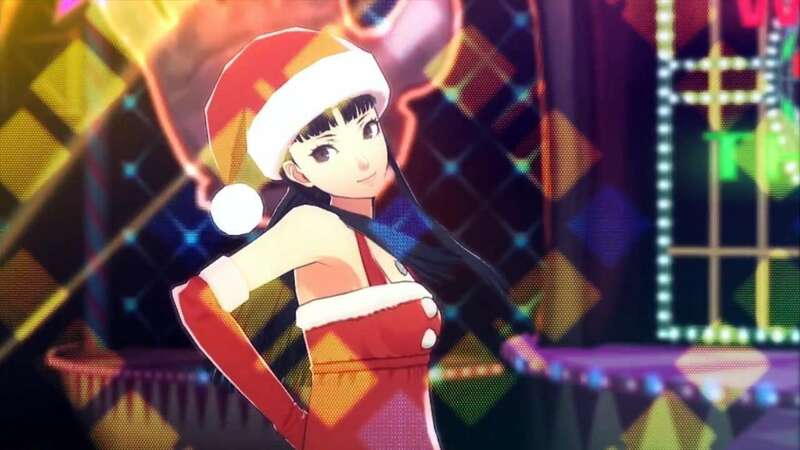 New costumes such as the characters’ ski outfits and Christmas costumes are revealed.